India’s startup scenario is at an all time high. There is no dearth of incubators and accelerators in the country and even big corporations and established companies are starting their own startup programs in India. Not only does this benefit the budding entrepreneurs of the country, it also benefits bigger companies to harness the potential of the alternative thinking and problem solving approach that takes place in startups. For example, Barclays Rise Mumbai is an innovation platform for fintech startups that Barclays and other investors of the program will benefit from. While a completely exhaustive list of all the successful startup accelerators and their active alumni will probably be too long a read, we’ve created a list of some of the most notable and unique accelerators and incubators in India, along with their now famous graduates. 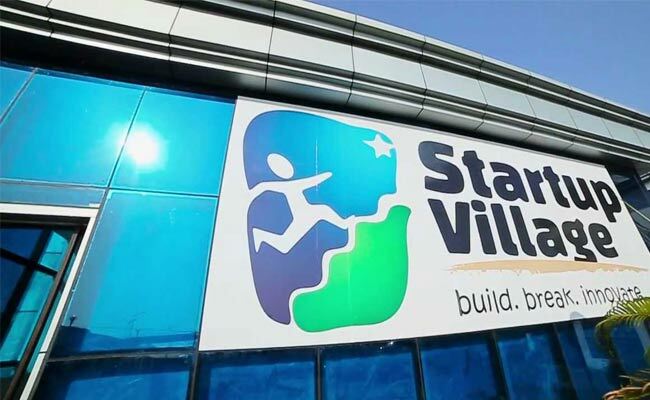 The Startup incubator was started in April 2012 as a joint partnership with the Government of India through the Department of Science and Technology, Technopark TBI and MobME Wireless. It offers long term support until the startup gets funded. Some of the most significant startups funded by the Startup Village are Fin Robotics and SYM. Fin Robotics was the youngest speaker at MWC 2013, Barcelona and also one of the top 15 startups from across the world in the CES’14 TechCrunch Hardware Battlefield. Can an Indian AI startup change the way we use fitness wearables? The way it works is that anyone with a startup idea can register on their website for Rs.1000. You essentially register as a Founder and add your co-founders. After that you’re given a coding and video task. Based on your performance in that, you’re called for an interview .Post this your startup gets enrolled into what they call a “course”, which costs Rs.37,500 per founder. Enrollment into the “course” gives you access to a number of scholarships and initiatives that aim to help students from their side, most notably the Start In College initiative. It is a free online course that tells you why and how to build startups even while you are in college. Under this initiative, they have partnered with 233 universities and provide 20 scholarships from Paytm for students from a low income background. This global program was one of the first to set up an accelerator in Bangalore. And since then, it has funded multiple successful startups like Altizon, BabyChakra, DailyRounds, Healthify, Voonik and Zoom Car. With a team of 32 direct mentors, each of them industry experts in their own fields, this accelerator picks a batch of startups every year. Till now, 83 startups have graduated out of it, with an average funding of about $1Mn. Their track record is very good with almost 76% of accelerated startups being funded. 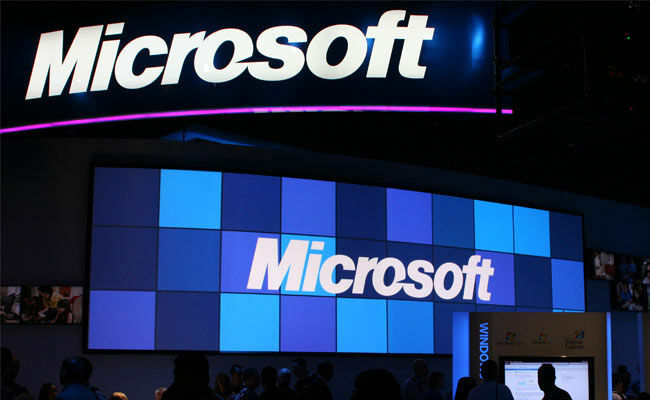 One of the best programs available under the Microsoft accelerator is BizSpark. Under this program, a startup gets 3 years of free software, services, tech support and Azure cloud. The qualification criteria for this one is – the startup has to be less than 5 years old, should be privately owned and should not be making more than $1M annually. The best part – at the end of three years, the startup gets to keep the downloaded software at no additional cost. The Azure cloud services available are by themselves worth $750 per month. 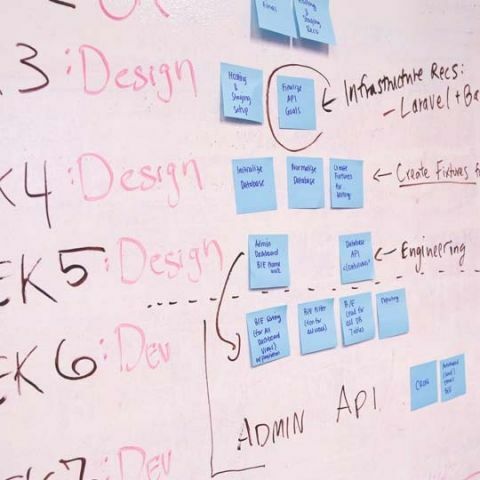 Acceler8 from Microsoft Accelerator is an umbrella initiative, which creates a single window process for Startups to apply for various proFgrams under Microsoft and its partners. Any tech startup is eligible to apply, even one with just an idea. There is no associated fees involved. Operated by former Reliance Entertainment President Rajesh Sawhney, GSF India is a 13 week programme shaped like a hackathon. During this duration, products sometime change drastically compared to what they started off as. It is a workshop oriented program that focuses on having a sufficiently clear idea by the end of it. Some successful startups that have come out of this program are RentOnGo, NewsBytes, AirStream, Flinto and HackerEarth. One of their first batch members, Little Eye Labs was acquired by Facebook in 2014. They have a 10 week ‘super-accelerator’ program modelled around hackathons that pushes startups to their limits. Startups attend 20 intensive workshops in fields like Product Strategy, Marketing, Technology, Business Strategy and Venture Funding. In terms of funding, GSF India invests about $30k-$60k at 8-9% equity into the startups inducted into the Global Accelerator program. GSF also does follow-on rounds of up to $500,000 into a few select startups after the program. They also have a school level initiative called GSF HighSchoolGeeks aimed at fostering entrepreneurship talent among the high school students in India. It selects 4 high school EiRs (Entrepreneur in Residence) who join a team of other EiRs from across the world, which includes graduates from the top academic institutions and founders of multiple successful startups. 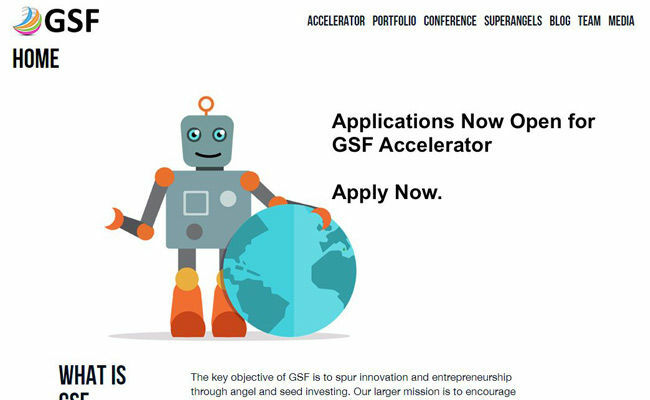 While the applications for GSF India 2016 are now closed since July 2016 and this year’s accelerator program has started in August 2016, the application program is available on their website every year. An initiative from the Times Group, this accelerator has a very good track record. With more than 50 total startups having emerged out of it, out of which 85% are active, they take the support beyond accelerating stage and maintain it through the seed and growth stage. They have a standard investment plan of 30L for 8% equity in the startup. Startups like Inshorts, Vidooly, Pratilipi, Mobapper, Viraliti and LetsVenture are some of their most successful alumni. Their program is 4 month long and has more than 100 mentors as a part of it. These mentors range from industry experts to startup founders themselves, ranging in areas across Marketing, online media analytics, ecommerce and more. To apply, you need to go to their website and apply to the accelerator program, which needs you to fill a detailed form with no additional fees involved. 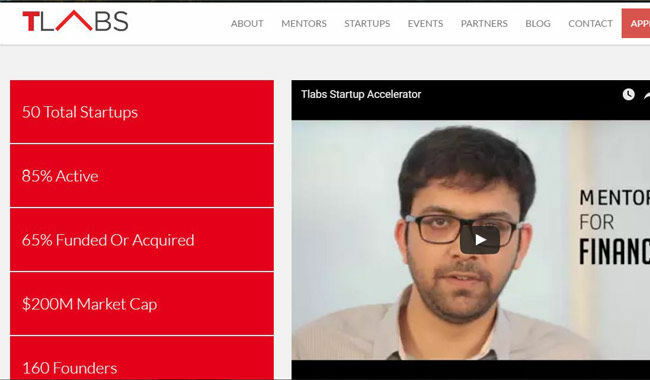 Startups are selected at the discretion of Tlabs. 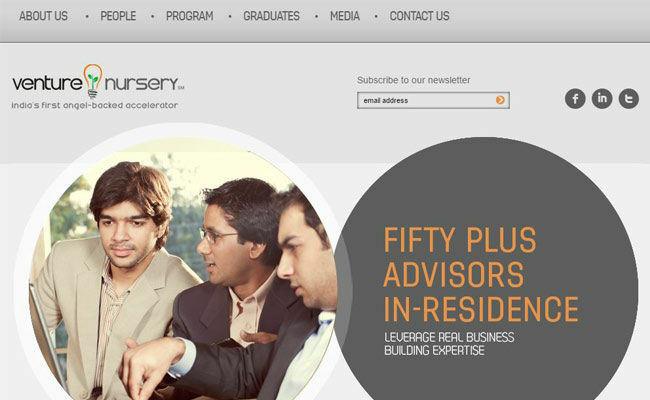 Venture Nursery is one of the accelerators in India that is backed by Angel Investors. It was established in March 2012 by Shravan Shroff, Founder and former MD, Fame Cinemas and Ravi Kiran, former CEO-South East & South Asia, Starcom MediaVest Group with its base of operations as Mumbai. They run a 13 week acceleration program and a paralleltrack program. Some of their successful graduates are Oyo Rooms, Klip.in, Catapoolt and InvenZone. Their accelerator program provides the startups with a physical space at no cost, much like most other such programs. 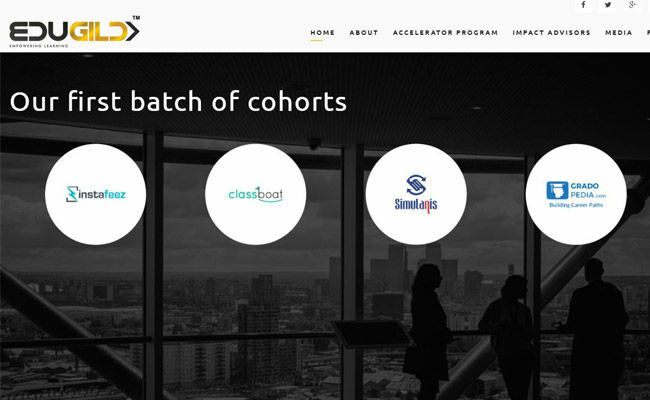 With their last years batch, their accelerated startups tally goes up to 21, with 12 of them still active.One of its Alumni companies, SeekSherpa, was the only Indian company in 2015 for its Google for Entrepreneurs Exchange in Astrolabs Dubai. Like most other accelerators, the emphasis for the selection is on the quality of the idea and the vision. To apply head to their website and fill out the application form explaining your idea and plan. Also, if you are an established startup with a working prototype, you can apply for the Parallel Track program for the same benefits. 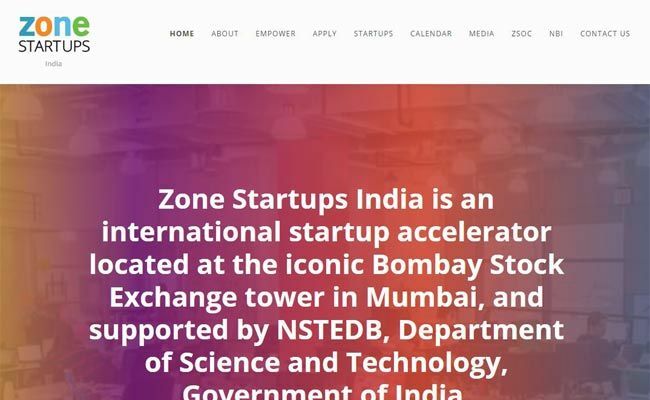 Zone Startups India is a collaboration between BSE Institute (a subsidiary of the Bombay Stock Exchange), Ryerson University’s Digital Media Zone (incubator), Ryerson Futures Inc and Simon Fraser University, British Columbia, Canada. Located in the Bombay Stock Exchange tower in Mumbai, Zone Startups currently hosts 60 startups. It offers a State of the art work space, Mentorship in the form of a Functional, Business Experts & Industry Panel, Market Development & Business Development Support, Networking & Branding opportunities, Funding Opportunity, North American market access and Peer-to-Peer mentoring. Some of the successful startups to come out of this incubator are Curofy, Fractal Media, Force analytics. While they haven’t clearly stated selection criteria, something that syncs with the rest of the startups already there is a bonus. They also have a special program called the India Market Access Program. Under this program, an international technology company looking to set up its first office in India will be provided end to end services for the same, which include Plug and play infrastructure, Local industry expert mentors, Professional and administrative services for establishing an India business, Corporate connections for customer development and more. Compared to the other ones on this list, EduGild is younger and more specialised. Launched in June 2015, it is an initiative by Maharashtra Institute of Technology (MIT) Pune. It offers a 16-week intensive mentorship and product realization program to any EdTech start-up in the world. In its first year, the programme received applications from 300 entrepreneurs' focused on the education sector from all over India. Of these, EduGild has selected four companies for its accelerator programme. This year, they have shortlisted 7 startups, which include 2 from USA and one from Russia. Last year’s graduates are Classboat, Instafeez, Simulanis and Gradopedia. EDUGILD’s partners include CISCO, Cambridge University Press, Tata Class Edge, CodersTrust, Upgrad, Aptech, VIT Vellore, Indira Group of Institutes, MIT Institute of Design. Their selection criteria mandates that the startup should have a product prototype ready or be in the initial stages of revenue. And to be selected, you also need to fill out an application form from their website.